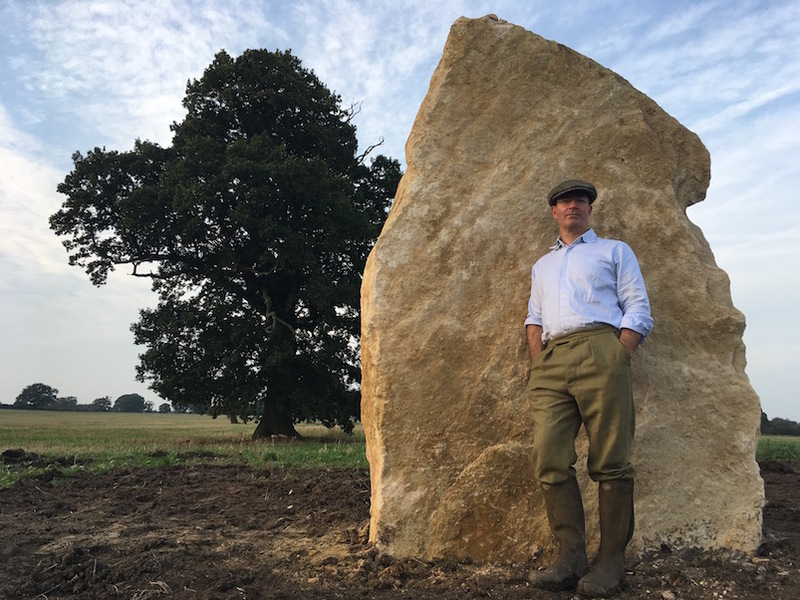 Three huge limestone monoliths have been erected in Shropshire, to mark the construction site of a new long barrow burial mound. The Soulton Long Barrow, which will be built by Sacred Stones Ltd, will be the region’s first in 5,000 years. The monoliths – each weighing a couple of tonnes, and standing approximately 12 feet high and six feet wide – mark a path to the location which in the grounds of Soulton Hall. The barrow will be made entirely by hand using natural limestone, lime mortar and traditional techniques inspired by our prehistoric ancestors. It will house cremated ashes and provide a venue for funerals and commemorative experiences, as well as educational and creative events. The team behind the barrow have already constructed one in Wiltshire (a private commission) and at Hail Weston in Cambridgeshire. Sacred Stones managing director Toby Angel said: “As well as marking the path to the barrow, these monoliths are our statement of intent and commitment to creating a natural, secular barrow in a rural setting where families can come with no time limitations and celebrate life. “We established the company in response to our own experience of crematoriums and the frustration of spending longer in the car park than at the service. A few local people have already reserved a space for their ashes in the barrow, including a local councillor, Pauline Dee. “The barrow appeals to me as a place of peace, beautifully constructed by craftsmen in a very natural setting,” she said. Soulton Hall has been in the hands of the Ashton family for many years. The standing stones are accessible to the public to view.